EXQUISITE LOOK & DESIGN: This fashionable designer watch delivers you with an exclusive sense of style while providing you with perfect performance and accurate time display to the millisecond using quartz movement. BEAUTIFULLY ACCENTED: Styles with Swarovski Crystal Studded Bezel, 4 Diamond markers on the dial and a Stainless Steel Mesh Bracelet, you’ll shine among the crowd wearing our high-end dress watch that’s suitable to wear in casual and formal settings. SUPREME COMFORT: An ergonomic and lightweight mesh bracelet strap wraps around your wrist flawlessly providing optimal comfort while fastening securely. Wear it with attitude to formal and casual events alike. It features a classic jewelry buckle. ELEGANT GIFT BOX: A beautiful gift box with an interior plush cushion provides a delicate display perfect for a Mother's day, anniversary or birthday present for the man in your life. 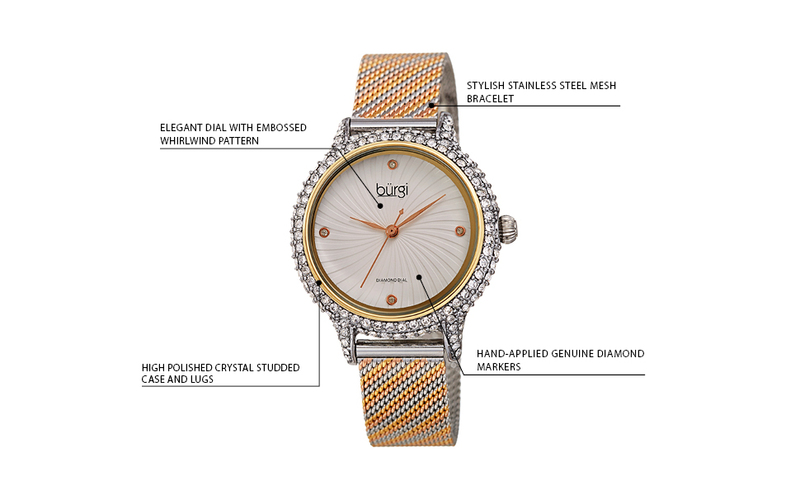 Burgi watches are backed with a MONEY BACK SATISFACTION GUARANTEE. 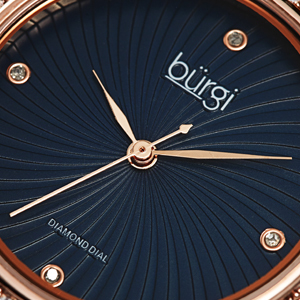 This beautifully designed Burgi timepiece features a fascinating Swarovski crystal-studded case and embossed whirlwind patterned dial. Each of the markers is a hand-applied genuine diamond, and the classic three hand timekeeping is powered by a precision quartz movement. It comes adorned with a comfortable and stylish mesh bracelet. 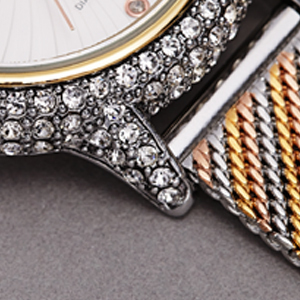 The dial is stamped with a whirlwind pattern and comes adorned with genuine diamond markers. The case and lugs are set with beautiful sparkling crystals. 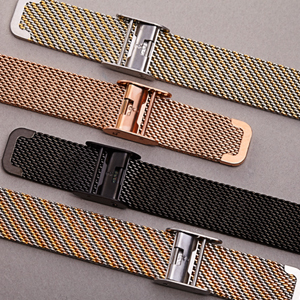 An easy to adjust stainless steel mesh bracelet offers a comfortable and stylish presence on the wrist.